Hi Katie, you and I are both thinking the same thing today! Thank you for hosting! Thanks for hosting. These books aren't available in Australia but I think it's time I ordered them. Thanks for hosting Katie. It's always good to be alerted to new and exciting poetry related texts to add to the collection. After-all, if we wish to write poetry, we must read a lot of poetry. How it warms my heart to hear about teachers who incorporate Poetry Friday into their weekly routine. I also read your wonderful Teaching Family History and Immigration post. Wow! I agree HERE WE GO would be another way to enrich the learning even further. Thanks for hosting PF this week and your terrific review of HERE WE GO. Thanks so much for hosting this week, Katie! And for featuring this newest gem from Sylvia and Janet at Pomelo Books. (I'm thrilled to have a poem included & will do a giveaway at my blog on March 3. :0). ) Thanks too for sharing some of the great things you are doing with your students! Appreciations for your post & for hosting, Katie. 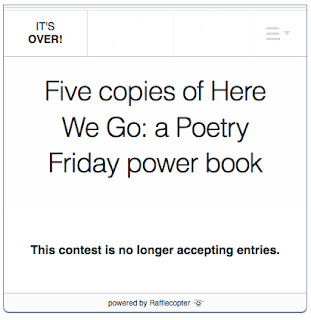 Just yesterday I received my HERE WE GO - it will be a lively weekend diversion, courtesy of the posting PF power writer just above here, MHB of Today's Little Ditty. Katie, good for you for bringing poetry into your classroom on a regular basis and letting the kids know that poetry is not to feared and is just another way of telling a story. Thanks for hosting this week. My link will go live at 6 a.m. EST Friday. Have a nice weekend. Hi Katie! I have this one on my wish list for sure. I love everything this book has to offer poets of all ages. Thanks for hosting! Thanks for hosting, Katie. I am excited that you showcased Janet and Sylvia's book. I can't wait to receive my copy that I won at Michelle Barnes' site. Poetry Friday books are fabulous resources for the appreciation of poetry. I hope you consider having your class offer a digital poem to my Winter Wonder 17 Gallery. I have Here We Go and agree that it's wonderful. I love hearing all you do with your class in poetry, and now with this book. Thanks very much for hosting! 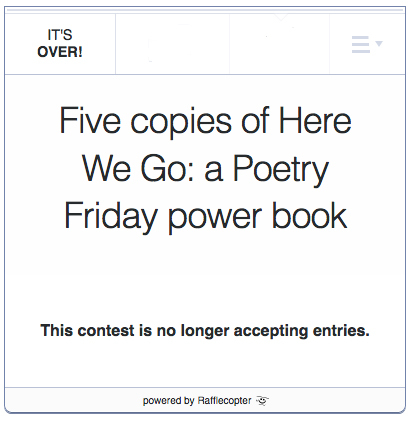 Hi Katie, thanks for hosting Poetry Friday! I'm enjoying looking around your blog; I particularly liked your page with all the Caldecott books and your 3rd grade page has many of my favorites-"Fortunately the Milk" and"Fantastic Mr. Fox." I won a copy of Here We Go, too - can't wait to crack it open!! Hi Katie! Thanks for hosting (and for teaching)! What a gift you've given your students, Katie; the creativity, the discipline, the muscle and the joy of poetry. Fantastic! And thanks for hosting today, too. Thanks so much for hosting, Katie! I am a huge proponent of using poetry in the classroom and your post reminds me that I've let it slip lately. Thanks for the gentle nudge and for featuring these wonderful resources. Thanks for hosting! Wow...big change for you from elementary to middle school. I can imagine that all of the wonderful things you did with younger students are translating (transformed, of course) to the older ones! Sounds to me like your students are very lucky to have you! Thanks for hosting the round-up today. Thanks, Katie, for hosting PF this week and sharing Here We Go... It sounds awesome. Your students are so fortunate to have a poetry-loving teacher! Thanks for hosting this week. Your enthusiasm has to be contagious, Katie. Some very fortunate kids in your class. Thanks for hosting! :) Happy Friday! Thank you for hosting today, Katie! My weekend plans include digging into my copy of Here We Go. I can't wait! Thank you for hosting! I'm hearing such good things about Here We Go. I think I'd like a copy for myself! I've heard so much about this book! Looking forward to reading it at some point. And thanks for hosting, Katie. 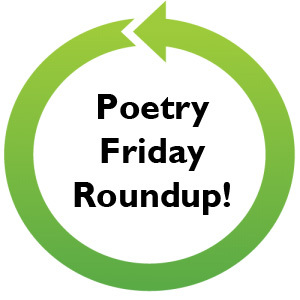 Thanks for hosting this week and for sharing your enthusiasm for Poetry Friday. 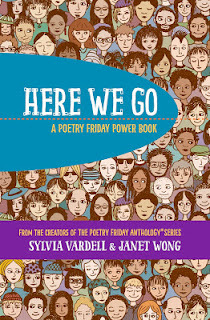 I think it's time for me to get a copy of Here We Go from the powerful team of Sylvia and Janet. At Wild Rose Reader, I have a link to a podcast interview that I did with Matthew Winner of All the Wonders about my new book THINGS TO DO. I am so happy to see Here We Go in use already. It's so needed. Thanks so much for hosting this week. I am finally home from a long, cold, tiring week. But, I have PF to cozy up with. Hi, Katie--thanks for hosting. You are lucky to have kids who can appreciate this awesome book! What a wonderful book and resource. I love their other poetry collaborations so will definitely look out for this one!